At Florida Disability Advocates, individuals in Tampa, Orlando and throughout the state find professional legal assistance with Social Security Disability Insurance (SSDI) benefits, Supplemental Security Income (SSI) benefits, children’s disability benefits, disability hearings and more. With 25 years of experience, attorney Chad Lawrence has provided counsel and representation to countless clients in every step of the process, from completing the initial application to appealing a denied claim. 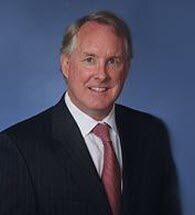 Mr. Lawrence is a former defense attorney and a member of the Florida Academy of Trial Lawyers. He also holds the highest rating, “AV Preeminent*,” from Martindale-Hubbell for his legal ability and ethical standards and the “Superb” rating from AVVO. In addition, our law firm is listed in the Martindale-Hubbell Bar Register of Preeminent Lawyers, which has served as a guide to the highest rated law firms in Florida for more than 90 years. At Florida Disability Advocates, the initial consultation is free and we charge no attorneys fees unless we obtain benefits for the client. We are also proud to offer flexible scheduling options and home or hospital visits as necessary. Call our Orlando office at [tracking number here] to arrange a consultation with our Social Security Disability benefits lawyer today.